is our human's very important target. "How to secure real natural food". Miso, Tofu and Natto Manufacturers. Now It's expanded to rice, fruits and vegetables. 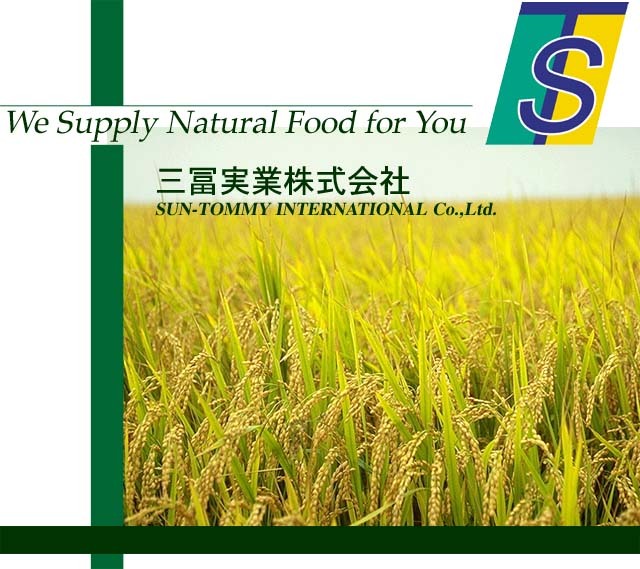 Copyright@ Sun-Tommy International Co.,Ltd. All rights reserved.